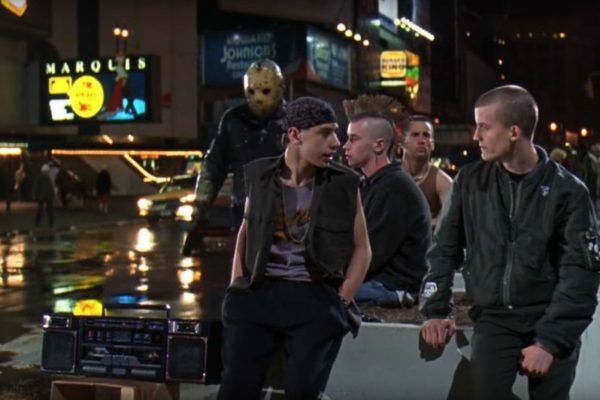 Remember the good old days where boomboxes were the first choice of music lovers? Guess what? They are making a comeback and with vengeance. 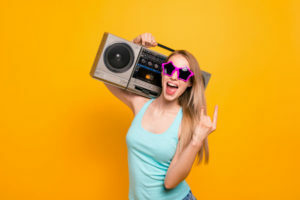 A major upgrade from their retro versions, the popularity of boomboxes have rocketed sky high in the past few years especially after a couple of singers were spotted with their own boomboxes. 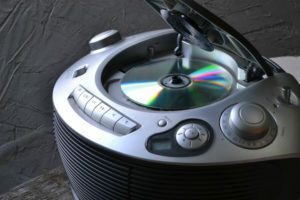 It helped these units set new trends in the music industry. Even though those people were seen with ultra-expensive models, you can still purchase the best boombox under $100. 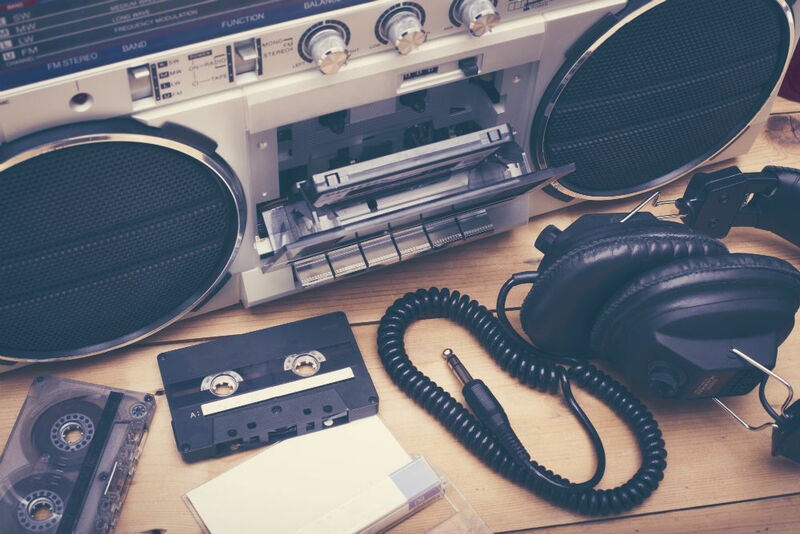 With the recent innovations in technology, the modern-day boomboxes come integrated with a wide range of features. Incorporating AM and FM tuners, they can play music on mp3 players. 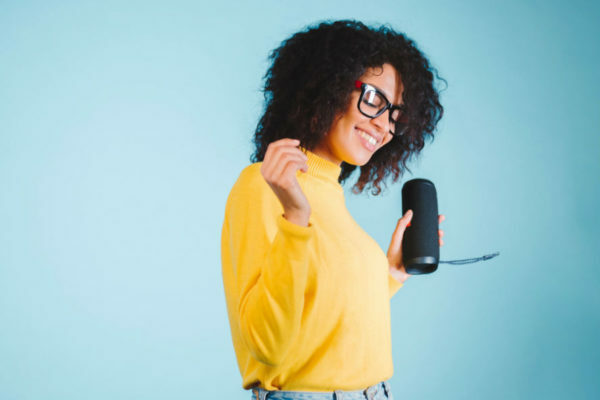 You can also connect them with USB, and for the convenience of music lovers, these models feature Bluetooth connectivity. So if you want to enjoy music, have a look at the best boombox under $100. Also read our guide of the Best Bluetooth Boomboxes. The Sony Portable Mega Bass Stereo Boombox Sound System is available at a pretty affordable price, so you don’t have to spend heavily on this purchase. This product offers all the hi-tech features which one could wish for in their ideal boombox. This boombox features NFC wireless Bluetooth which means you can connect it to a number of different devices. The Bluetooth range is more than 30 feet, and there is no need for any types of cables for it. All you have to do is to pair your smartphone with this device’s Bluetooth, and it will immediately start playing your favorite songs. 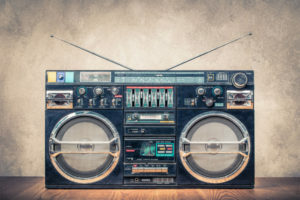 It also comes with a USB input along with a standard AUX jack which makes sure that all the music lovers can connect their iPhones, mp3 players or other devices to this boombox. 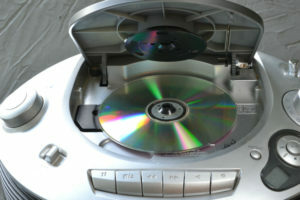 It has a CD player which comes handy if you want to play a compact disk with this unit. For users who are always on the go, the Sony Portable Mega Bass Stereo Boombox Sound System incorporates two different power options. When you’re at home, you just have to plug in this device to your regular power outlet as it works on AC power. 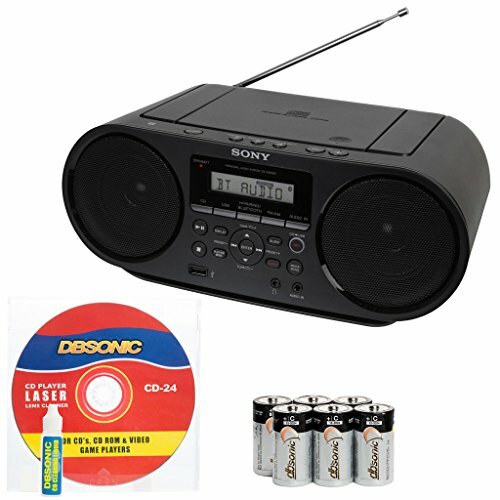 However, if you’re out on a trip, this boombox can also work on batteries. Another great thing about this device is the presence of a headphone jack. This feature is ideal for all those who don’t want to disturb others. Just plug in a headphone and listen to your favorite songs in complete privacy. You can also tune in to your favorite AM and FM stations, and when there is a clear LCD display, it makes it easy to operate this device. Finally, it is pretty lightweight as the overall weight of this device is no more than five lbs. So if you’re planning to go on a picnic, this product can be your ideal companion. Coming from one of the premium manufacturers in the field of audio equipment, the Logitech Mobile Boombox combines style with performance. Available in a stylish black design, this product makes sure that you can purchase a nice-looking boombox at an affordable price. The Logitech Mobile Boombox is pretty easy to use. The manufacturer has designed three buttons on top of this device; one is for Bluetooth connectivity, and the other two are basically for increasing or decreasing the music volume. There are two ways in which you can connect this boombox with your personal devices. First of all, it features a Bluetooth speaker. The speaker works using a rechargeable battery which is also included in the purchase. On a single charge, you can play music for up to 10 hours. This speaker can pair up with eight different devices. It is pretty easy to switch from one device to another as all you have to do is press a button. However, you can only play music using one device at a time. 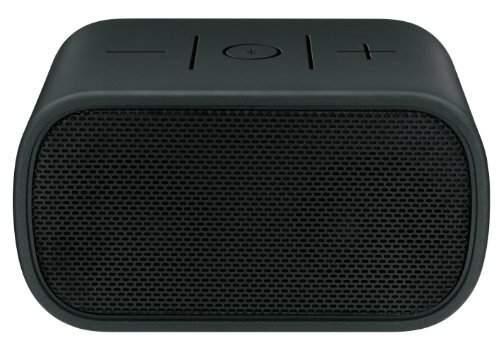 There is also a 3.5mm Aux input in the Logitech Mobile Boombox. 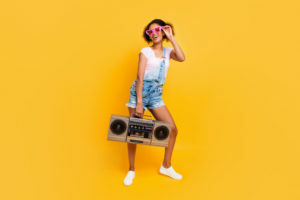 It basically comes in handy if you’re going to connect any device to this boombox which isn’t Bluetooth-enabled such as an iPod or a regular mp3 player. 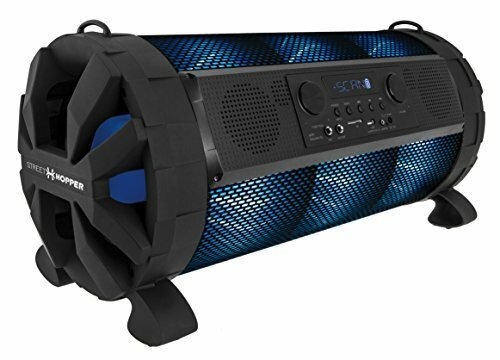 Lastly, the Logitech UE Mobile Boombox runs on a regular AC power. A separate micro-USB port is designed on its back side which works as a power switch. You just have to charge it with a Power adapter along with a USB cable, both of which are provided along with this purchase. The Street Hopper 8 is ideal for music lovers who want to stream audio and impress their guests with a single device. Incorporating a wide range of superb features, this model comes with stylish LED lights. You can either choose the custom lighting profiles or even set up your own depending on your music taste. 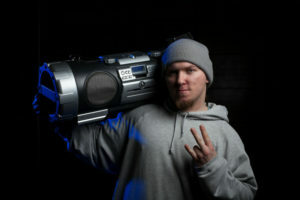 Just like a majority of high-quality boomboxes, the Street Hopper 8 offers Bluetooth connectivity. This particular feature allows you to connect your devices wirelessly with this boombox. For all those music lovers who don’t have a Bluetooth-enabled device or want to stream music from their iPods, they can make use of the 3.5mm Aux input. This product gives you the flexibility of using it with a microphone because an additional mic input is provided for this purpose. You can also connect your guitars with this device as the manufacturer has designed a separate guitar input in the Street Hopper 8. Coming towards the standout feature of this product, it has got to be the fact that you can control the Street Hopper 8 with your smartphone. This is made possible by the Street Hopper smartphone app. This application, which can be installed on both iPhone and Android, gives you the luxury of operating this device right from your cell phone. You can use it to change the lightning profile, adjust the FM tuner along with many other useful features. Apart from the smartphone app, you can also operate the Street Hopper 8 with the available remote control. So if you’re looking for a versatile and stylish boombox, the Street Hopper 8 can be your ideal purchase. A boombox is a decent option for music lovers who want to enjoy their favorite music anywhere they go. We’ve reviewed the top three boomboxes in terms of performance, audio quality and affordability, but if you’re looking for one model which stands out from the rest, it has got to be the Sony Portable Mega Bass Stereo Boombox Sound System. 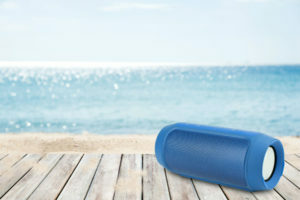 The product is equipped with Bluetooth connectivity and is also equipped with an MP3 CD player. In addition, you can also use it with a headphone jack. It also works on both AC and batteries making it a highly portable device. I just bought the Sony boombox at Walmart for $59. Seemed like a good deal. I cannot understand your good review. The sound quality was horrible. I played a cd and a cassette. Awful sound. Hi Peggy, I see you mention playing a cassette. The Sony I’m reviewing here hasn’t got a cassette deck. Are you by any chance talking about the CFDS70, because that one does have a cassette deck, but it’s a cheaper model than the one I’m reviewing here. If so, I’ve also tested the CFDS70 and came to the conclusion that – for the price – it’s a very well-rounded system with many possibilities. Sure, the audio quality is not stellar, but it should not be awful. Maybe you’ve got a faulty one, so you might wanna return it.